I have captured this picture of African Fish Eagle at Kruger National Park early in the morning during our staying at Pretorioukop Rest Camp. At the time of Sunrise I captured this picture and wanted to keep them together to make a nice composition. So it was bit tough to get perfect focus both of them but at last I did. It is a large species of Eagle found in Sub-saharaan Africa where large bodies of open water with an abundant food supply occurre. Excellent details and nice specimen of birds. Lovely white colors. You have captured well the eye contact. 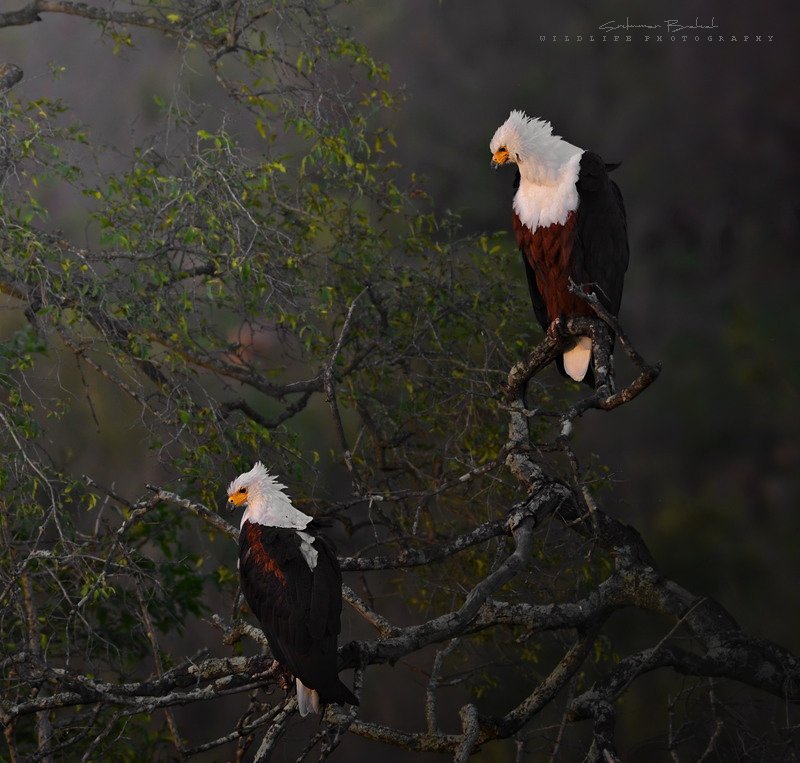 The point of view is showing the details of the African Fish Eagles. There is a good contrast between the colors of the picture. Have a nice day.